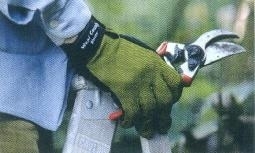 Spring weather signals the start of specific gardening tasks that are essential to maintaining a vital, healthy garden. I’m a list type of gardener, and the following is my springtime procedural list in order of personal priority. Hope it helps. #1 – Finish pruning everything in the yard including roses, fruit trees, and summer-blooming shrubs. Then rake up old leaves, cut back dead growth on perennials, and remove leftover annuals and vegetables from gardens and containers. Link to Pruning Guide. #2 — Apply “Weed & Grass Stopper” by the end of March. This granular seed killer stops the worst of early spring foxtails, dandelions, and horehounds from emerging in rock lawns and flowerbeds. It must be applied before the weeds develop or it loses effectiveness. #3 – Watch for aphids on willows, aspens, and apple trees. 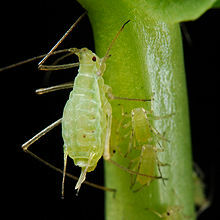 These pests are easily eliminated with an application of liquid ‘Triple Action’. All fruit trees should be sprayed before their spring bloom. Spray roses at the same time. #4 – Feed everything in the landscape by the end of March. I created an all-natural food especially for the mountain gardens of Arizona, and it really works. 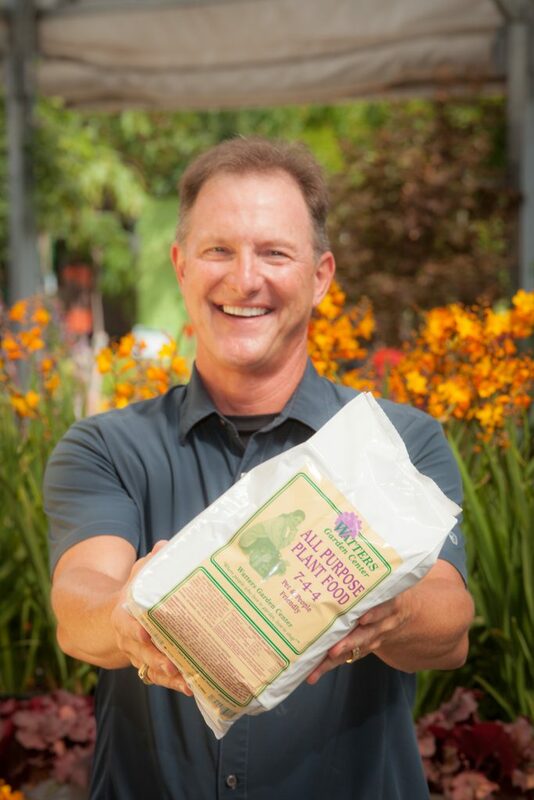 Use my ‘All Purpose Plant Food’ 7-4-4 on lawns, flowerbeds, shrubs, trees, and all garden soils you will use for planting. I also administer an application of ‘Soil Sulfur’ at the same time. If you’re uncertain about what, when, and how to feed your garden, ask for the handout of my 4-step program for feeding a landscape. Don’t forget your natives! The amount of moisture this year will produce a bumper crop of bark beetles this spring that seek out weak evergreens. A landscape that is well fed and healthy can defend itself against these vicious forest invaders. #5 – Top dress flowerbeds, shrubs, and trees with a 2” layer of shredded cedar bark or, if you prefer, composted mulch. This new layer of protection will insulate the roots from cold nights and drying spring winds that lie ahead. This simple act also keeps weeds at bay and encourages better root development. #6 – Use my ‘All Purpose Plant Food’ 7-4-4 to nudge awake old lawns and to jump-start new seedlings. March is the best month to start a new lawn or to overseed an old one. For more detailed advice, ask for my handout “11 ½ Steps to New Lawns and Overseeding”. #7 – Pine scale should be making its unwelcome appearance in just a matter of days. 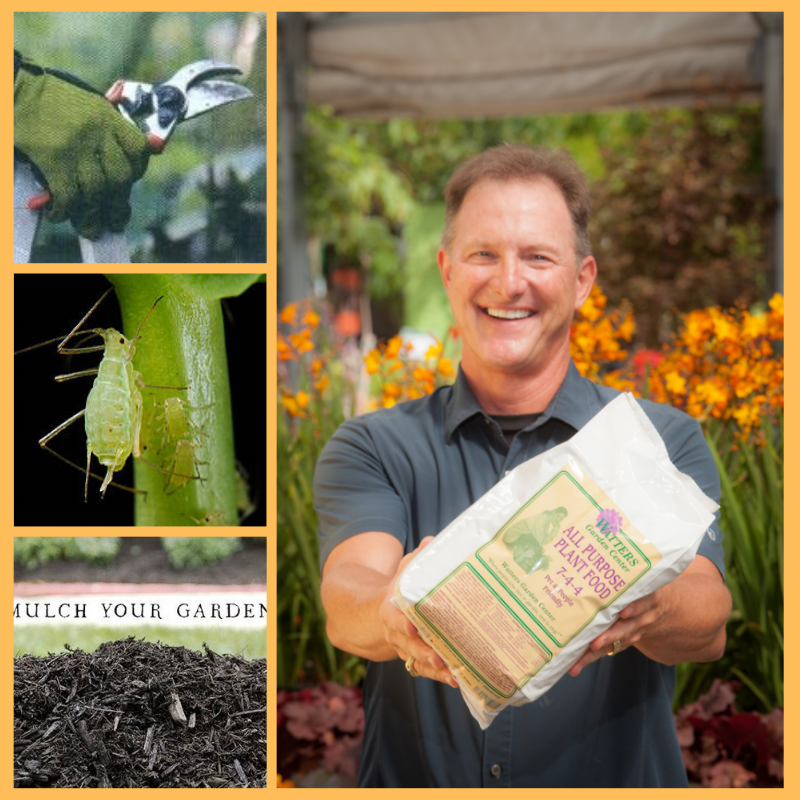 Watch for signs and treat with my specially formulated ‘Plant Protector.’ Arborists are not needed to apply this easy-to-use bug solution, and one application protects trees for the entire year. Besides those trees attacked by scale, I definitely recommend feeding stressed trees as well. Reading into the theme here? # 8 – Before planting your garden, cover the area with a 2” layer of composted mulch and manure topped with Calcium Nitrate and ‘All Purpose Plant Food’ 7-4-4. Then turn this organic-rich material into the garden’s soil to one shovel’s depth. You are now ready to plant spring flowers, herbs, and vegetables. #9 — Go ahead and plant early spring flowers and vegetables as soon as the soil is prepped. Cabbage, broccoli, cauliflower, garlic, and onions already have arrived at the garden center. 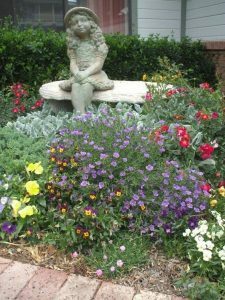 Pansies, violas, dusty millers, English primroses, poppies, and early spring blooming perennials also are ready for planting. All of these plants love the warm days and the chilly nights of early spring. That’s the list. Indulge your garden with these minimal maintenance tasks, and you’ll find your spring flowers brighter, the evergreens greener, and your spring growth more exciting than ever. Until next week, I’ll be helping local gardeners here at Watters Garden Center. Ken Lain can be found throughout the week at Watters Garden Center, 1815 W. Iron Springs Rd in Prescott, or contacted through her web site at WattersGardenCenter.com or FB.com/WattersGardenCenter .